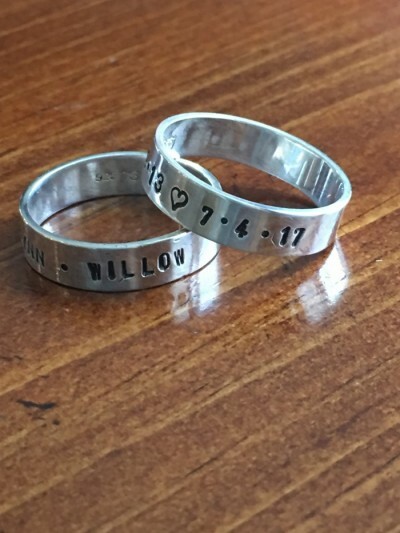 Men’s stackable dad ring personalized with kids’ names and birthdates – a perfect gift for Father’s Day, baby gift or birthday to keep his children close. Select your choice of one or two bands. Available in sizes: 5, 6, 7, 8, 9, 10, 11, 12, 13, 14. Categories: Collections, Dads & Grandpas, Hand Stamped Rings, Men's Gifts, new, Rings for Men, Shop by Occasion, Stackable Rings. Each band accommodates up to 30 characters. 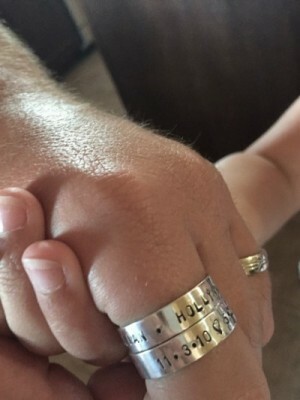 Tags: dad ring, fathers ring.